The Subaru Crosstrek has been completely redesigned for the 2018 model year! It's officially the second model to use the Subaru Global Platform and features an all-new design language that radiates throughout both the interior and exterior. Other highlights include a new multimedia system that features Android Auto and Apple CarPlay functionality, new driver assistance technology, a 2.0-liter Boxer engine with direct fuel injection, improved handling via Active Torque Vectoring, and an available X-Mode for off-road adventures. The Crosstrek is venturing toward the un-paved path, with a new and capable chassis that improve versatility both on- and off-road. The redesigned 2018 Subaru Crosstrek has been built with Subaru's core technologies: a SUBARU BOXER engine, EyeSight Driver Assist Technology, the Subaru Global Platform, and Symmetrical All-Wheel Drive. These technologies represent the best of Subaru and contribute to the Crosstrek's enjoyable handling, strong powertrain, safety, and off-road capabilities. Every Crosstrek equipped with the available Lineartronic continuously variable transmission comes standard with X-Mode, a driver-selectable system that allows the Crosstrek to better navigate steep inclines and slippery surfaces. Under the hood of the Crosstrek, you'll find a freshly revised rendition of the FB 2.0-liter four-cylinder Boxer engine that features direct fuel injection and enhancements that have boosted the performance and drivability of this SUV. The 2018 Subaru Crosstrek falls within the compact SUV class. 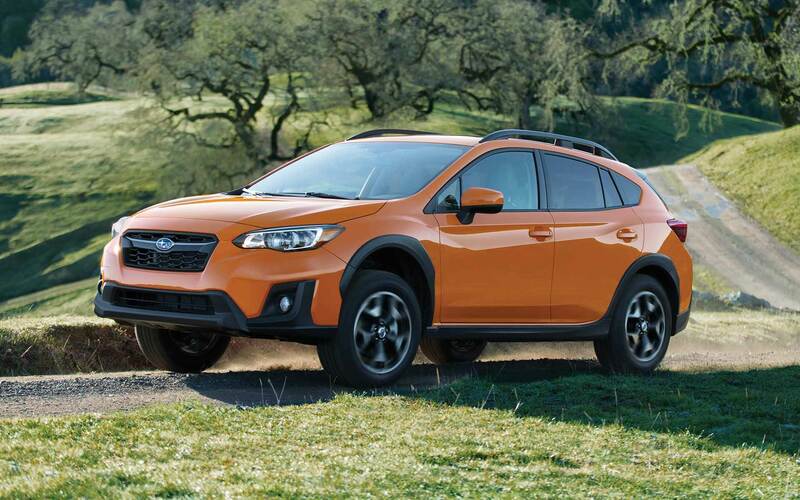 The Crosstrek features an all-new exterior design with a hexagonal signature grille and 'hawk-eye' headlights. The Crosstrek's wheelbase has grown by 1.2 inches for this model, measuring a total of 104.9 inches. 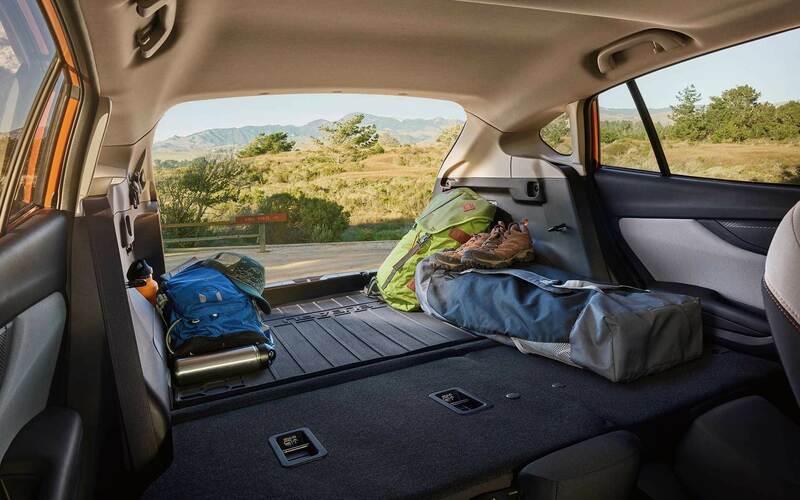 The Crosstrek is known for its nimble size but spacious cabin, and this revision is no exception. Three trim levels-2.0i base, Premium, and Limited-make up the 2018 Subaru Crosstrek's lineup. Standard features for the 2.0i base trim level are plentiful, including a gorgeous 6.5-inch multimedia touchscreen display with Android Auto and Apple CarPlay integration, power accessories including power windows with auto up/down on both passenger and driver sides, a driver information display with fuel economy information, 17-inch alloy wheels with a machine finish, plush carpet floor mats, privacy glass, roof rails, a tilt and telescoping steering column, and a security system complete with an engine immobilizer. 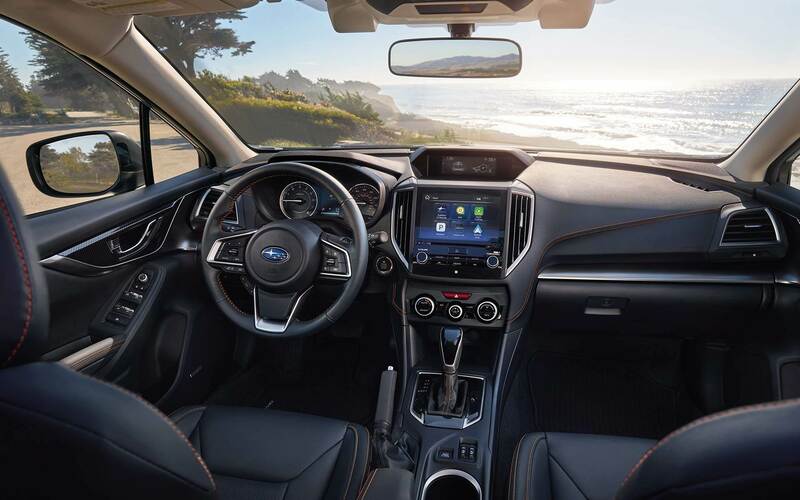 Shifting up to the Premium trim releases more elegance with a leather-trimmed steering wheel and shifter, SUBARU STARLINK Safety and Security, automatic headlights, a wiper de-icer, heated front seats, and heated mirrors. The Limited is borderline luxury quality, with Steering Responsive LED Headlights and unique Konoji LED daytime running lights, 18-inch alloy wheels, automatic climate control, an 8-inch color display, keyless ignition and entry, a six-way power driver's seat, and white gauge cluster illumination. How much horsepower does a 2018 Subaru Crosstrek produce? The all-new Subaru Crosstrek generates 152 horsepower! What transmission options are available for the 2018 Subaru Crosstrek? The 2.0i base and Premium trim levels come standard with a six-speed manual transmission and are available with the Lineartronic CVT. The Limited trim level comes standard with the CVT and features a 7-speed manual mode function with steering-wheel-integrated paddle shifters. Where can I find your new car specials? You can always find our current new car specials by visiting here! The Subaru Crosstrek's previous design was an Insurance Institute for Highway Safety Top Safety Pick for six years, and the all-new 2018 Subaru Crosstrek plans to hold on tight to that title. This year's model has a new platform underpinning designed to absorb over 40 percent more crash energy from the previous model. Subaru EyeSight, a suite of intense safety features such as Adaptive Cruise Control, Automatic Pre-Collision Braking, and Blind Sport Detection with Lane Keep Assist, is also available for those who want to make sure their vehicle is as safe as possible. To learn more about the all-new 2018 Subaru Crosstrek, visit us at Reedman-Toll Subaru today or contact us below! We'd love to get you into the redesigned Subaru Crosstrek as soon as they're in stock!